We are a professional full service moving company based out of Sacramento, CA. We always provide free in-home estimates in order to determine cost and leave you with a quote in writing. Sacramento moving company specializes in affordable moving services both to and from the local area. Because we’ve been in the personal and business transportation service for over ten years – Sacramento Movers have an extensive and proven track record of fast and dependable moving services. A Better Moving & Storage Co., Inc. Locally owned and operated moving company serving the Sacramento area for 30 years. Providing white glove service by our expertly trained associates in packing, crating, moving and shipping either valuable antiques in your home and/or valuable equipment in your office. Give us a call for a free estimates; we move or ship anything anywhere! Melrose Moving Company Sacramento specializes in all sort of household and commercial moves. Moreover, you can ask them for small items move, packing and unpacking services and long distance moves. With a history of more than 10 years, the company has mastered all sorts of moving techniques. Performing excellent is what brought Melrose Moving recognition and appreciation. California Moving Systems business plan from the outset was to diversify and offer clients specialized moving services such as corporate employee relocations, office and facility moves, exhibit and trade show moves, high value and electronic equipment moves. Adding product distribution / logistics, commercial storage and business records management, California Moving Systems continues to grow while never losing focus on the quality of service. Atlant Movers is a full service moving company in Sacramento, California. Our services include local moving, long-distance moving, commercial relocation and piano moving. In addition to the standard services we also offer packing and storage. Years of experience in the moving business give us assurance that we are able to perform any moving task. Our goal is to make your move as stress-free as possible. Move confidently with Mother Lode. Sacramento movers that offer peace of mind wen it comes to your local, long distance or international move. We here at Elk Grove Movers have been providing affordable moving services for Elk Grove and the greater Sacramento area for years. We have a team of workers that are available all day and most of the early mornings and nights ready to help you move. Each step of the way we are here for you to pack, package, lift, drop off, and place all of your things from one spot to the next. We’ll take you from your small apartment or house to move into your new place, help you move back into mom and dads, and move from a bigger place to a smaller, or drop off your stuff to your storage unit. There is all kinds of professional moving services that Elk Grove Movers will do for you. Long distance moving, commercial office moving, residential moving, local moving, packing services, we can lift pianos couches, hot tubs, bed frames, and anything that you might deem difficult, we can handle. We’re just a phone call away. 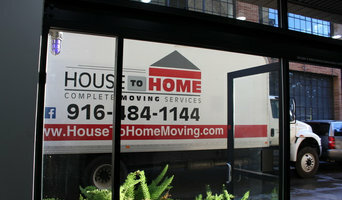 Call 916 680 8455 and we’ll get you a free estimate for your new moving job. Find companies in Sacramento, CA that provide storage or moving services on Houzz. Scroll through this page to find a home removalist storage solution in your area. Just enter your suburb at the top of this page to narrow your search. Get contact information or message professionals directly so you can ask about rates, and read customer reviews.